The Rangers are sending veteran Erik Christensen to the Whale on a two week conditioning stint. As of this particular moment the Whale are still at their veteran limit because Andre Deveaux is suspended for the next three games. In their meeting with Rangers head coach John Tortorella, the New York media reports that, Wojtek Wolski has been asked to come to the Whale as well. “We’ve had that conversation,” Tortorella said. “He’s still in discussion with his people.” about giving his go-ahead. Tuesday, Jan. 10, 7:00 p.m. The Rangers will face-off against the Phoenix Coyotes tomorrow at Madison Square Garden (7:00 p.m.; TV: MSG; Radio: 1050 ESPN Radio), to begin a stretch of four games in six days. The Blueshirts currently sit atop the Eastern Conference standings, and rank first in the league overall, with a record of 26-9-4 (56 pts). The Rangers enter the contest having defeated the Pittsburgh Penguins, 3-1, on Friday at CONSOL Energy Center to extend their winning streak to four games, and have won nine of their last 10 games. New York has posted a record of 23-6-2 since Oct. 29, after beginning the season with a 3-3-2 mark. The Coyotes enter the contest with a 20-17-5 (45 pts) record to rank 11th in the Western Conference, and have lost six of their last eight games. 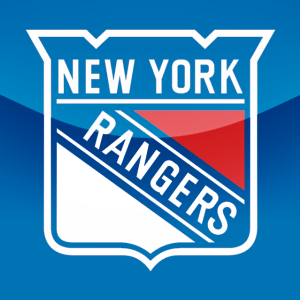 Following tomorrow’s contest, the Rangers will face-off against the Ottawa Senators on Thursday, Jan. 12, at Madison Square Garden (7:00 p.m.), to mark the mid-way point of their regular season schedule.